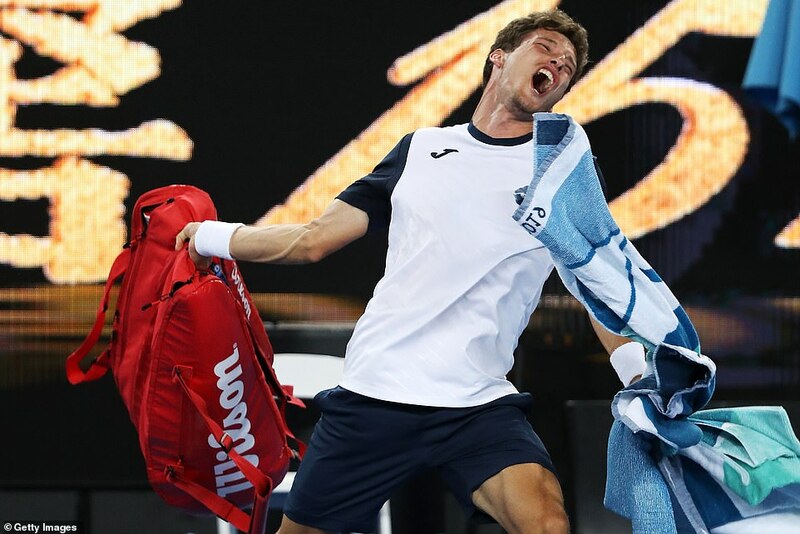 This is the moment Spanish tennis star Pablo Carreno Busta spectacularly blew up at the chair umpire as he crashed out of the Australian Open after an epic five-hour clash with Kei Nishikori. 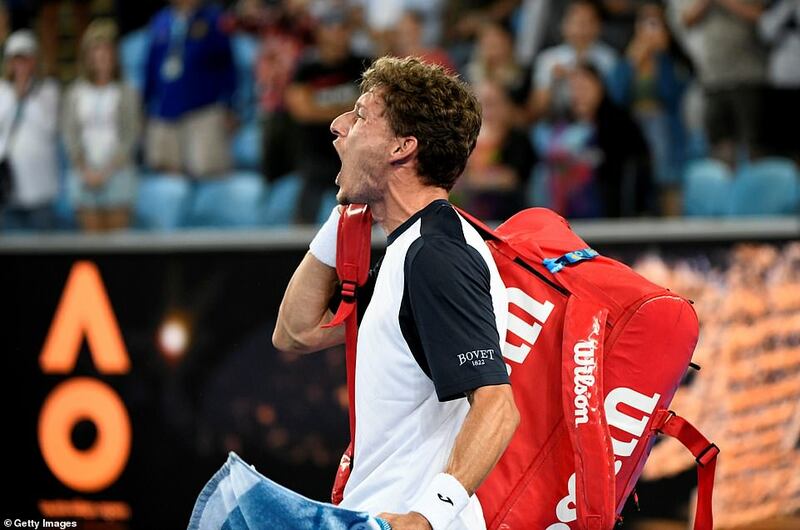 A furious Carreno Busta lost it as he went down in a five-set thriller with the Japanese star on Monday night, stopping only briefly to hug his opponent before slamming his bag on to the court and abusing umpire Thomas Sweeney. Carreno Busta, 27, was heard screaming in anger at Sweeney: 'Cabron!' 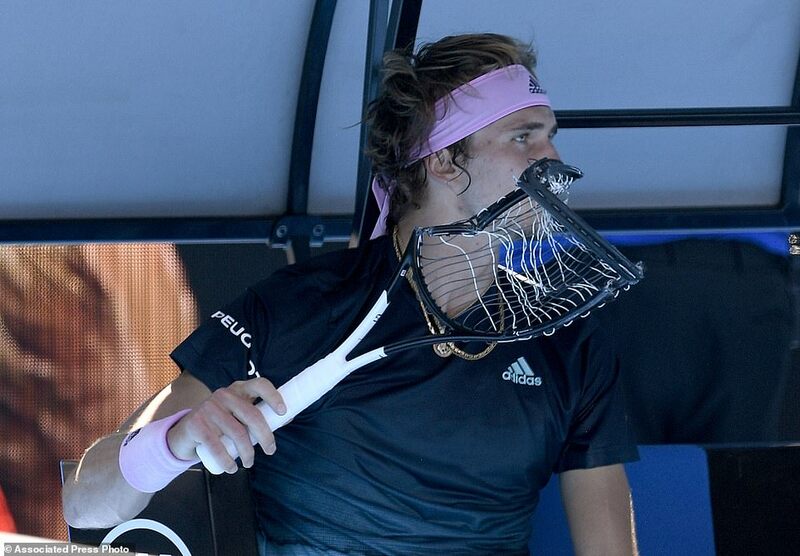 - a Spanish word which roughly translates to 'b******' or 'dumba**' - as he left Melbourne's Margaret Court Arena to the jeers of the crowd. The Spaniard was furious that a point when he was leading 8-5 in a deciding tie-break was not replayed after his shot was erroneously called out. 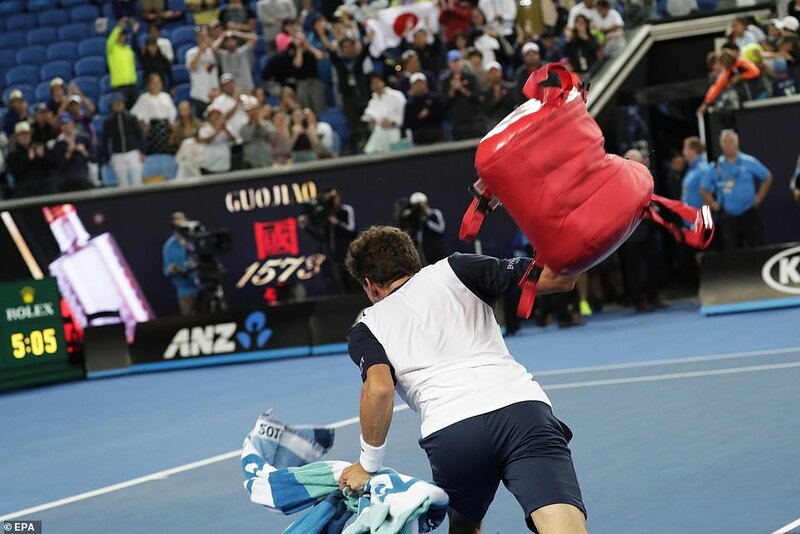 The umpire ruled Nishikori had hit a winner before the call came. 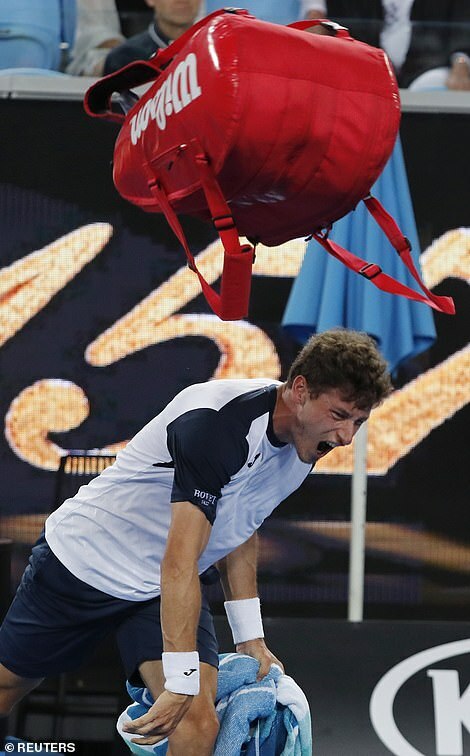 Carreno Busta protested vociferously and then lost his cool at the end of the match. 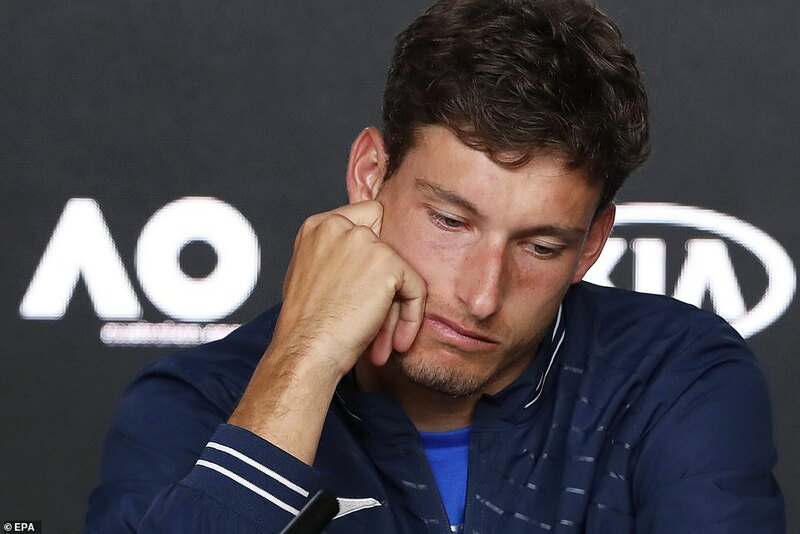 Afterwards, he was tearful and full of remorse, saying: 'Obviously I'm very sad because after five hours fighting, the way that I leave from the court wasn't correct, and I'm so sorry, because that's not me. 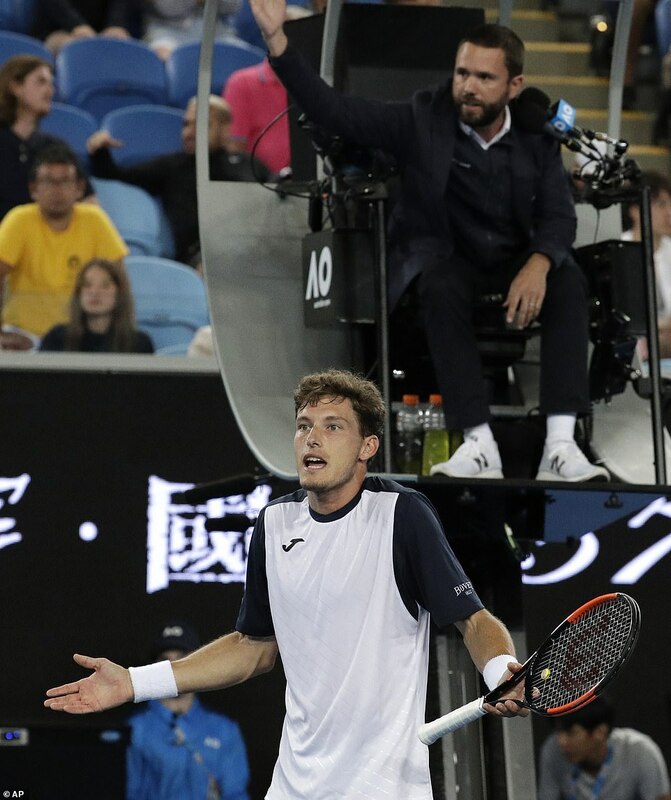 After being two points from victory in a fifth set tiebreaker, Carreno Busta lost five straight, including one where he berated the chair umpire for not ruling a replay. A line judge called it out, after Nishikori had hit the ball down the line, and Carreno Busta was nowhere close to playing it. 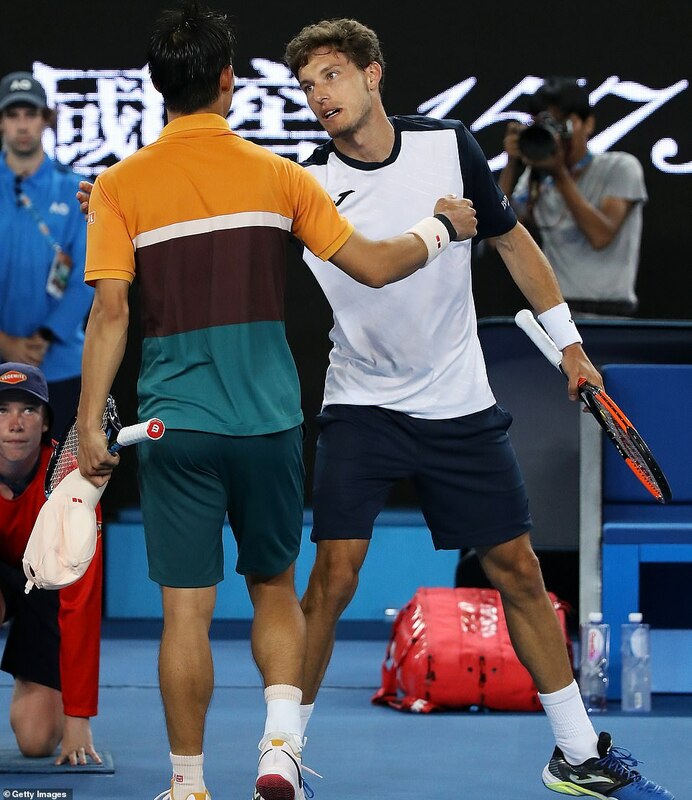 Carreno Busta didn't win another point, and Nishikori sealed the match with an ace. 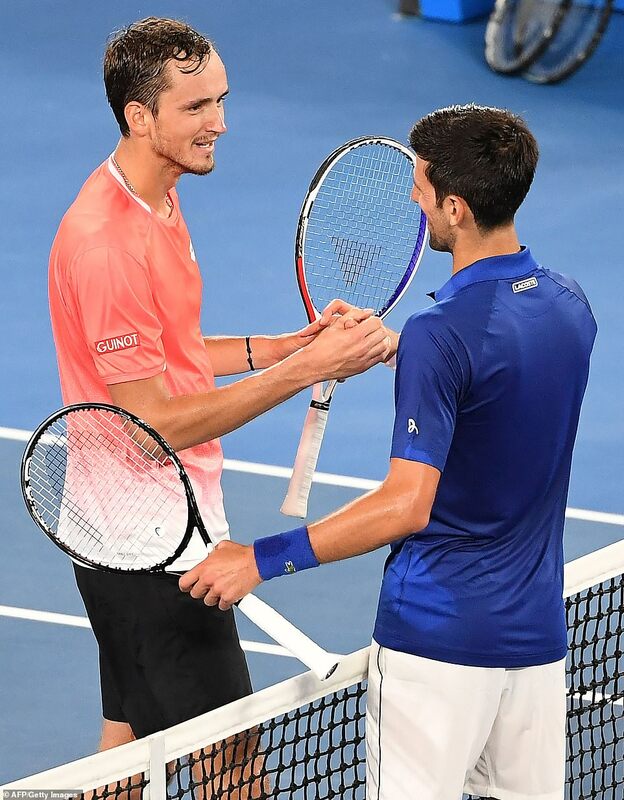 'It's tough, to me to leave Australian Open like this, because I think that I played an unbelievable match,' the 23rd-seeded Spaniard said. 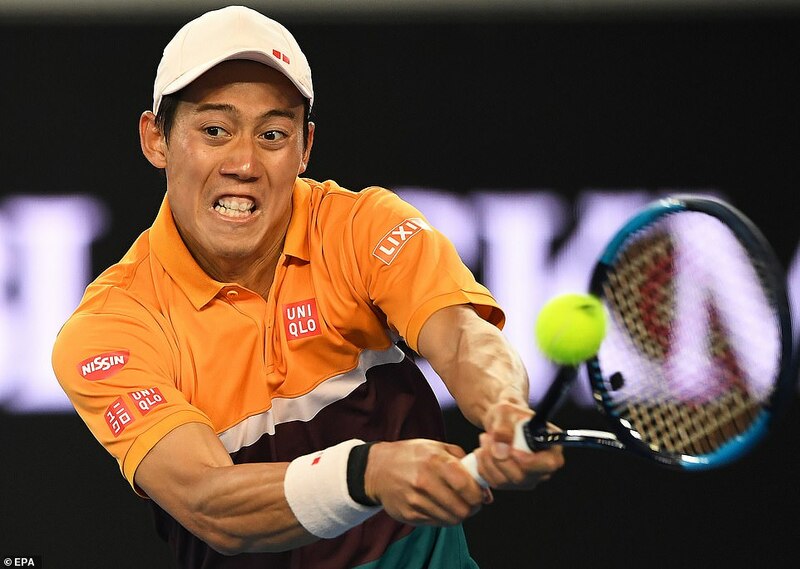 Nishikori eventually won 6-7 (8), 4-6, 7-6 (4), 6-4, 7-6 (8). It was the second time the 2014 US Open finalist has had to come back from two sets down in the tournament. 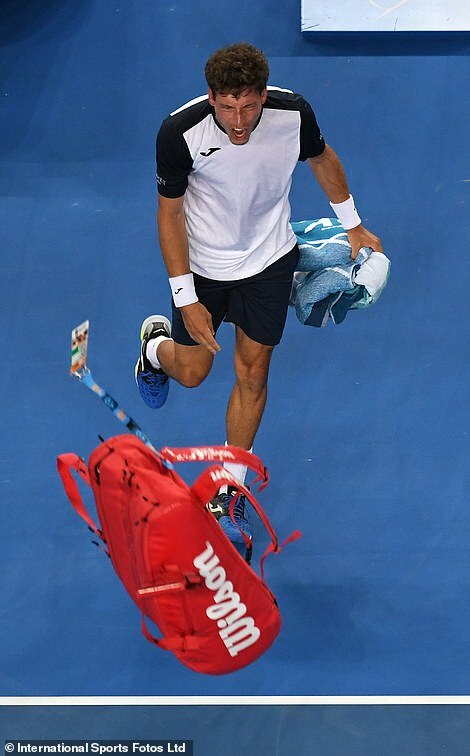 And it's the second time he's had to win in the new 10-point fifth-set super tiebreakers that were introduced at Melbourne Park this year. 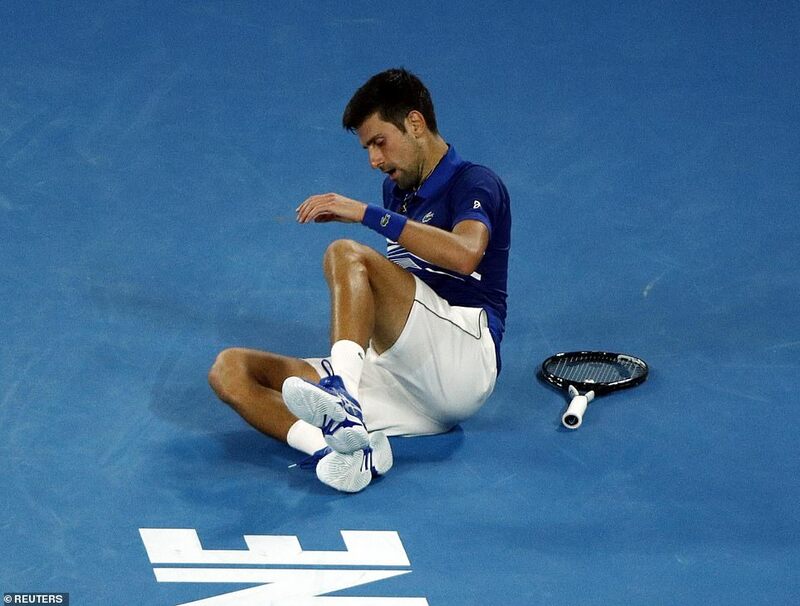 Djokovic, meanwhile, overcame a couple of tumbles to the court and a series of energy-sapping baseline exchanges to beat No. 15 Daniil Medvedev and return to the quarterfinals for the first time since 2016. 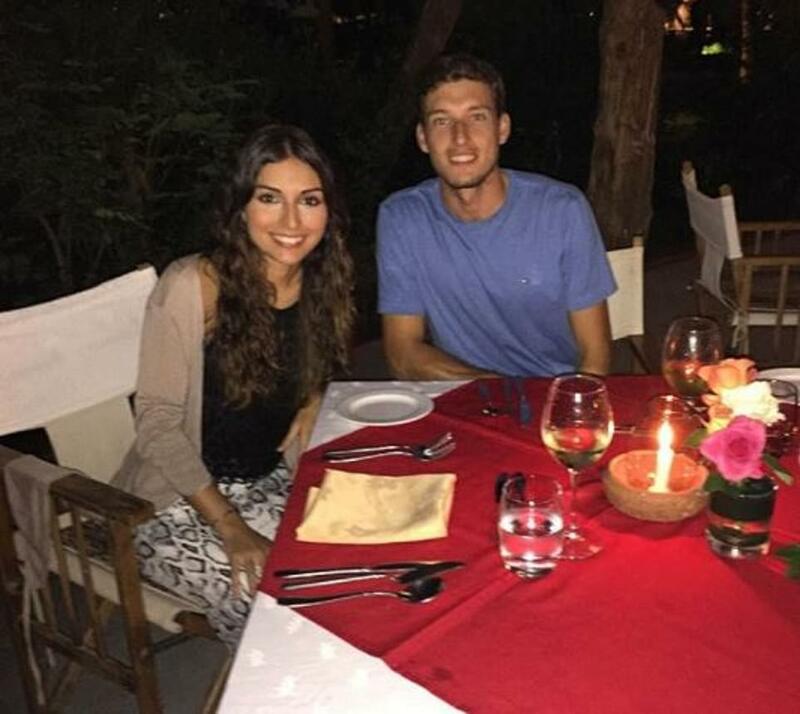 'We'll see tomorrow how the body reacts (but) I'm confident I can recover and can be ready for the next one,' he said. No. 16 Milos Raonic and No. 28 Lucas Pouille will meet in the other quarterfinal on the top half. The big-serving Canadian had his serve broken in the opening game but responded by winning the next eight games until Zverev finally held. 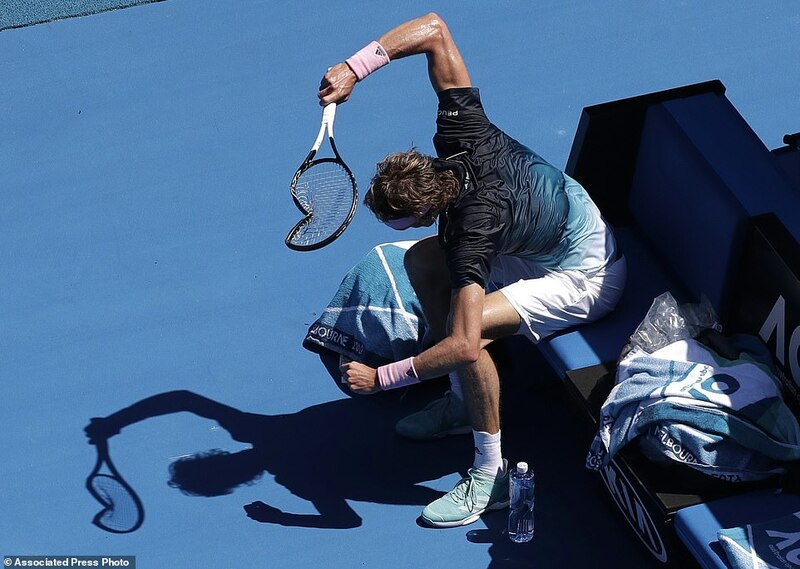 After falling behind 4-1 in the second, Zverev slumped in his courtside chair and smacked his racket into the court eight times before tossing it aside.